Another predictably bleak report from Land Registry has revealed that average house prices in the UK saw a 0.6% in the year to February. This is down from 1.7% in January and the lowest annual rate since September 2012. According to the data, this downward trend has now made it north of the border as property prices in Scotland fell by 0.2% over the year, down from a rise of 2.4% in the year to January 2019. The average house price in England increased by 0.4% over the year to February, down from 1.4% in January. House price growth in Wales increased by 4.1% over the 12 months, while Northern Ireland house prices increased by 5.5% over the year to Q4 2018. By region, the lowest annual growth was in London where prices fell by 3.8% over the year, down from a decrease of 2.2% in January, followed by the South East where prices fell by 1.8%. The North West showed the highest annual growth, with prices increasing by 4.0%, followed by the West Midlands at 2.9%. Joshua Elash, director of property lender MT Finance, says: "Those regions where both demographics and higher yields support investors continue to perform well, which is a big positive. However, London is by far the biggest, and most important, market. It is here where the war of attrition that is Brexit is being most painfully felt. A reported price fall of 3.8 per cent over the year to February 2019, down from a fall of 2.2 per cent in January 2019, is massive. This represents billions of pounds of lost value over a four-week reporting cycle. Jeremy Leaf, north London estate agent and a former RICS residential chairman, comments: "These figures show the property market has finally caught up with what we have been seeing on the ground for some time - in other words, a lot of caution and 'wait and see’ until political uncertainty lifts a little at least. 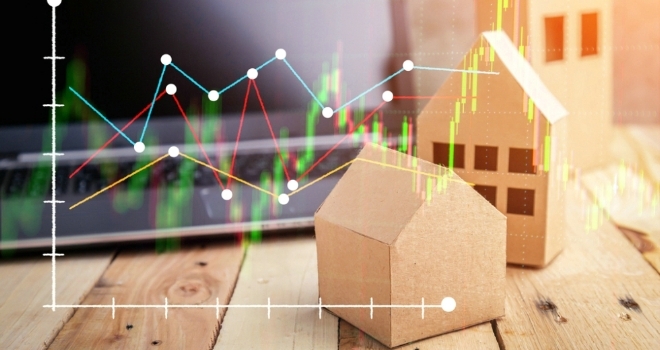 Nevertheless, transaction numbers have proved more resilient than expected, demonstrating that although business is tough realistic buyers and sellers are still seeking value, particularly in this traditionally busy spring buying season for the market." John Goodall, CEO of Landbay, says: “You don’t need to be a housing analyst to see that falling prices in London are acting like an anchor, dragging overall house price growth down across the country. While issues with affordability and supply remain, political and economic uncertainty linked to Brexit is more acute than ever. The reality is we could have a combination of a new Prime Minister, a general election, a Labour government, or a second EU referendum in the coming months. This means that while transactions volumes continue to tick over, the truth is we aren’t currently in a buyers nor a sellers market. Therefore it’s understandable that many of those in a position to move are holding fire for now. Ray Rafiq Omar, CEO of Unmortgage, said: “The slowdown in house prices isn’t surprising as uncertainty continues to dominate headlines. The market continues to lack any movement, not helped by the stamp duty increases a few years ago for high value homes, with many families choosing to improve rather than move as they can’t move up the housing ladder. Government intervention has been the cause of this house price slowdown - so it remains in the government’s hands to return to domestic policy issues, like housing and homeownership, sooner rather than later. We have a clear supply and demand problem which needs to be addressed, causing high prices and limited home ownership in the younger generations - recent research suggests that first-time buyers now need to save for 10 years for a deposit. Worrying as that is, an unaddressed question is what sort of property will they be living in for those 10 years? Colby Short, founder and CEO of GetAgent.co.uk, commented: “The latest statistics provide yet more evidence that the UK market has failed to get out of the blocks so far this year, with the economic drag of political uncertainty continuing to influence sentiment amongst both buyers and sellers. Alastair McKee, Managing Director of One77 Mortgages, said: “Not the most positive reading but perhaps not as significant as it might seem. While we’re seeing the rate of price growth slow there is still a great deal of positivity across the UK market. Marc von Grundherr, Director of Benham and Reeves, had this to say: “The London market continues to take a bit of a kicking as a result of yet more Brexit based delays, but the best investments are often the most susceptible to more notable readjustments in times of hardship. The current realignment of the London market is far more palatable than we’ve seen previously and as it stands, London homeowners are still sitting on a very sound piece of bricks and mortar when viewed in context with the wider UK market. Tom Mundy, COO and co-founder of Goodlord, comments: “Today’s private rental growth statistics make for interesting reading. Given the sluggish state of property prices, it’s not surprising that we’ve seen a modest increase in rental costs throughout 2019 so far, particularly in London. It’s undoubtedly good for landlords, as well as positive for letting agents. With tenant fees soon to be abolished and new restrictions around evictions coming into force, we’re likely to see growing renter confidence and an increased appetite to shop around for a better deal or a new property.